Apple is gearing up for a year of product "surprises" starting this fall, according to CEO Tim Cook, who appeared to point to late 2013 as a time frame for when fans of the company can expect new devices. Cook appeared to point to the fall of 2013 as a time when consumers could expect new products from Apple. Continuing in Apple's tradition of near silence on forthcoming products, Cook gave no specifics, but the Apple head specifically mentioned "the fall and all of 2014" as a time to expect new products. Pressed later in the call on the issue, Cook parried the question, saying that he didn't want to get too specific on Apple's product rollout schedule, but sticking to the fall pronouncement. Apple, Cook said, has "a lot more surprises in the works." Cook's comments would appear to throw cold water on the predictions of some outlets that Apple is close to releasing new models of its bestselling iPhone and iPad. Some even purport to have secured components and casings from such devices. A fall release for a new iPhone, for instance, would be in somewhat in keeping with the company's near-yearly rollout schedule for that device. Still, though, some have assumed that, in order to address competition from other manufacturers, Apple might move to a more aggressive update schedule for not only its iPhone, but also its iPad. Cook also addressed the reality of Apple's stock performance as of late, apparently taking issue with Wall Street. "We know [we] didn't meet everyone's expectations," Cook said before the call moved on to discuss Apple's financial particulars. Cook seemed to be referring to Wall Street analysts, who have been down on Apple in light of the appearance of slowing profit growth and increasing competition. "[It] has been very frustrating to all of us," Cook admitted, referring to the disappointing performance of Apple shares on the market. "But Apple remains very strong, and we will continue to do what we do best. We can't control items such as exchange rates and world economy." The bruising Apple's stock has taken since peaking above $700 last year hasn't left Cook unscathed. Recent weeks have seen a campaign against Cook spring up seemingly out of nowhere, with some observers having decided the supply chain manager-turned-CEO was the wrong choice to lead one of the world's most valuable companies. Cook said that, while Apple's share price might not be fully within the company's control, Apple's existing product pipeline, the strength of its ecosystem, and the potential for new product categories meant the company is on a solid path. 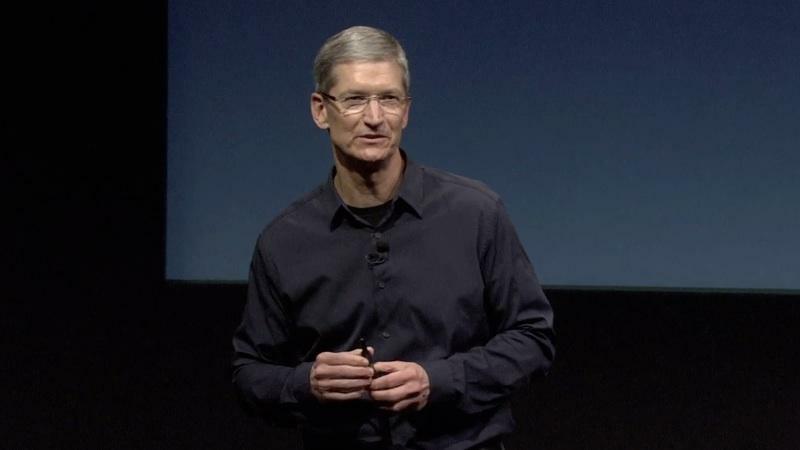 "The most important objective for Apple," Cook explained, "is developing innovative products." The Apple chief then went on to cite encouraging figures in the smartphone market, with IDC estimating 1.4 billion units sold annually in the coming years. The tablet market, which Cook has called "the mother of all markets," is estimated to hit 375 million units by 2016.